Man, if only I could go back in time, to experience once again my highest most wonderful moments; to have a second chance; to right the wrongs. Punting that dream across to audio, I'd rejoice at revisiting wonderful memories with Tannoy, Thiel, Duntech and Infinity speakers I once owned. Stepping back into the Audio Tardis, another time travel would see me once again relish Cymer Audio's masterpiece SE35 monos. 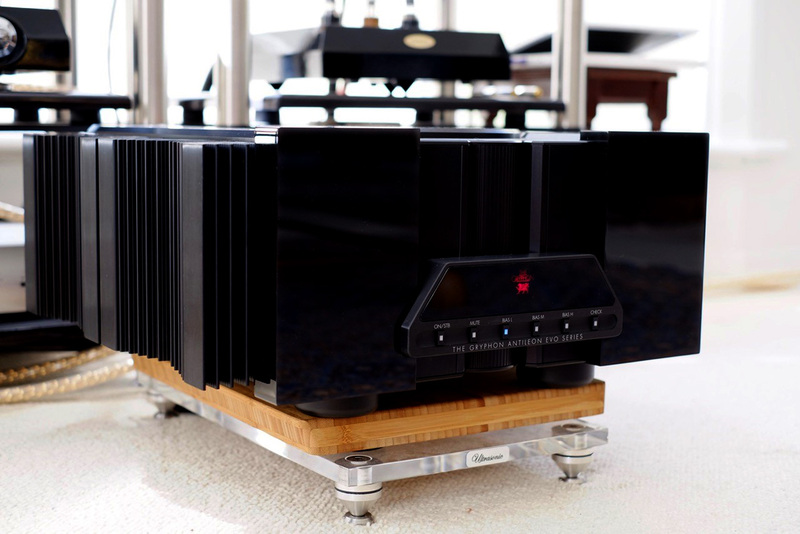 A further voyage would have me experience the blissful symbiosis of amp and speaker as characterized by Thiel CS2.3 and Gryphon's entry level—but oh so marvelous—Tabu 100 power amplifier. Living with that 'budget' model from the Danish purveyors of upscale Class-A power amplifiers and subsequently high-end speaker systems... that gave me an insight into what intelligent solid-state design can reap from appropriate speaker systems: namely control, dynamics and resolution. I've had many amplifiers since but my desire to own one of Gryphon's Class-A behemoths always remained strong (while at the time my wallet was relatively weak). Fast forward to 2016. Due to a number of fortuitous events back at High-End Munich 2015 then further conversations with Gryphon founder and head honcho Flemming Rasmussen, an opportunity arose for me to review the new Antileon EVO stereo amplifier. Needless to say, after all these years I was literally chomping; and even more so in light of my extremely positive experience with the Diablo 300 I reviewed for Audio Esoterica. The Antileon has been a constant at Gryphon for a number of years now. Various generations (I count the current as being fourth over quite a long life span since Gryphon don't arbitrarily release new models but only if and when they can offer genuine improvements) always shared superlative build quality and Class-A circuitry built around massive power supplies of ever-increasing robustness. The new EVO model scales up that concept to a whole new level with a much larger power supply and a newly-designed input stage said to remarkably improve performance. And there's no disputing the amplifier's serious presence. This is a large black mass of heavy gauge metal and black acrylic with an arresting industrial design. Of course the heat sinks add to the ominous look but they are necessities to dissipate the large amounts of heat generated by any pure Class-A design. 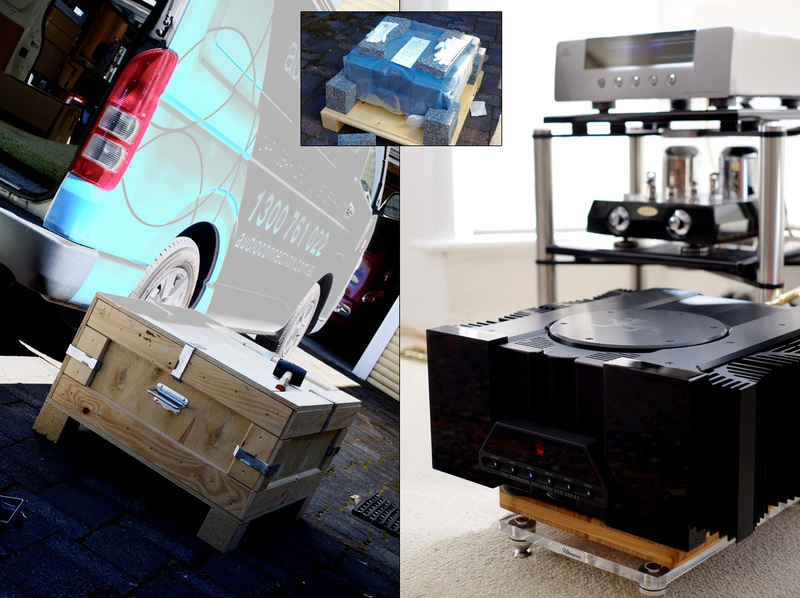 The stereo EVO (Gryphon also offer proper not bridged mono blocks) is specified as being 150 watts into 8Ω which doubles right down to 1Ω drive (1200 watts quoted). 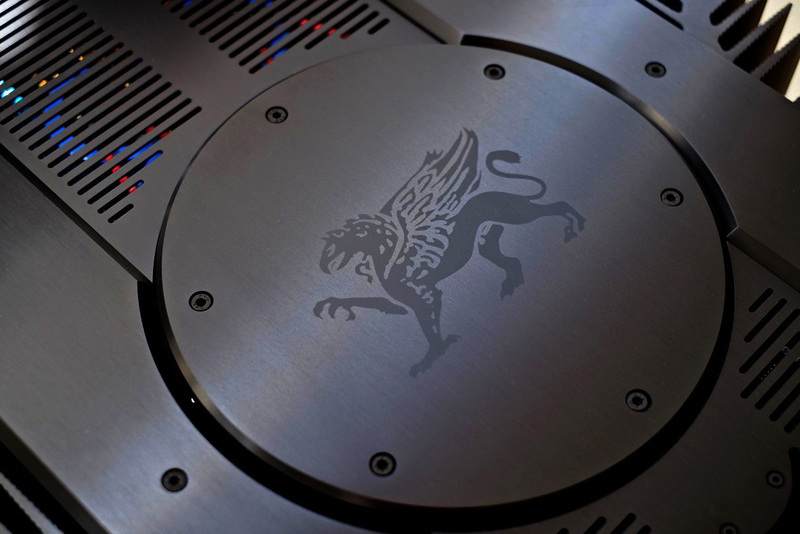 An intelligent feature which Gryphon use in these Antileon amplifiers and higher-powered models too is switchable Class-A bias. This starts at 25 watts in its 'low' setting, progresses to 50 watts in 'medium' and culminates in full Class-A power in 'high'. Further, if you happen to own a matching Gryphon preamplifier, Green Bias setting economizes by adjusting relevant Class-A power to correspond with the volume setting of the preamp. Smart indeed.